The average woman smiles 62 times a day. The average man smiles about 8 times a day. Teeth that function properly allow good nutrition is critically important to health and well-being. Teeth that function properly are essential for optimal nutrition. Unhealthy teeth and gums can contribute to systemic conditions as bacteria from the mouth can more easily enter the blood stream. The smile also reveals a great deal about a personnot only ones disposition, but how much value one places on appearance as well. It is an important ingredient for success and self-esteemevery bit as important as expensive jewelry or a fancy car. A nice smile communicates confidence, attractiveness and friendliness. 2 Beauty is power. A smile its sword. 4 Dental excellence. Compassionate care. 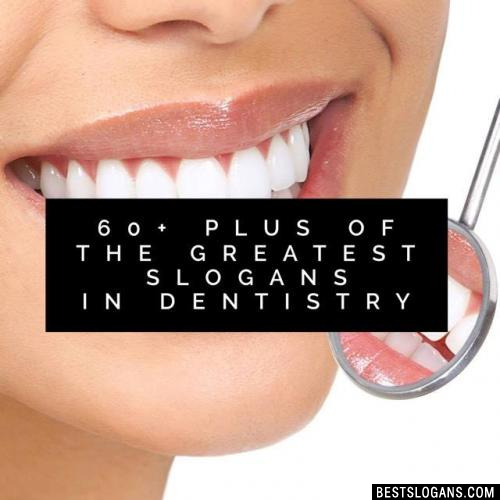 5 Dentistry you can't wait to tell your friends about. 7 Spend more on yourself, less on your dentist. 8 The gentle dental center. 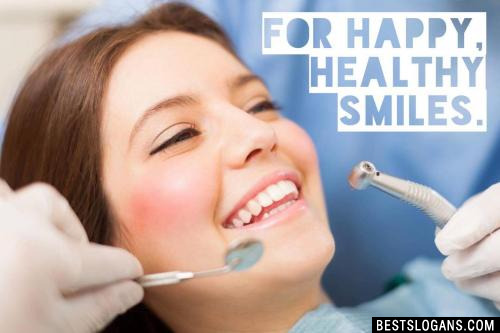 10 Your pathway to a bright new smile. 11 Where beautiful smiles begin. 12 The world always looks brighter from behind a smile. 13 Something to smile about. 14 Smile, and the world smiles with you! 15 Put a smile in your life. 16 Nothing but the tooth. 17 Grow up with smiling! 18 For the life of your smile. 19 Experience the gentle difference. 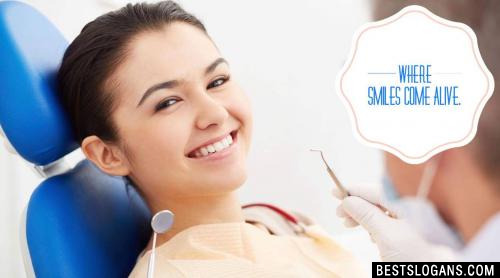 20 Dentistry that makes you smile! Can you think of a good Dental Slogans we're missing? Or come up with a clever one of your own. Please share below.